The idea of having a press that is free to cover the news is generally linked to the idea they will be fair because such a freedom generally comes with a degree of responsibility. A common example is how freedom of speech should give someone the right to speak their mind but not scream fire in a crowded theater. This is where discussions concerning the press and President Trump get sticky. Somewhere in what often slips into an argument is the role of the media in presenting an unbiased view of events. 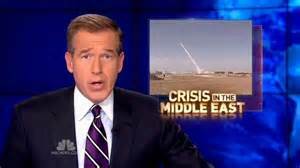 This is complicated by the fact many news outlets have moved more towards an entertainment format rather than presenting the cold hard facts and in that regard, sensationalism draws viewers. It is clear that over the years how we get our news has changed but it seems this is not the chief reason for declining trust. Today many people get the majority of their news over the internet. This has made a huge difference in how news is distributed allowing people more choice in how they receive their news, however, much of the content remains controlled by some rather strong players that often are driven by an agenda of self-interest. 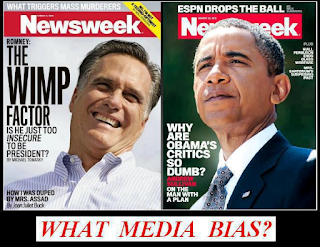 This proved to be very apparent during the presidential election where many in the media put their strong bias towards candidates front and center. It became clear to many of us that a greater force was comprised of those insiders currently in control and yearning to extend their run. Another name for this group is the establishment. Many times supporters of both non-establishment candidates Donald Trump and Bernie Sanders were miffed and less than overwhelmed to see how poorly their candidates were treated by the press. In many ways, the media has become viewed more as a tool of the establishment than the protector of the people and defender of our rights. This could explain why the press is often held in such low esteem by the very public that relies on them for information. 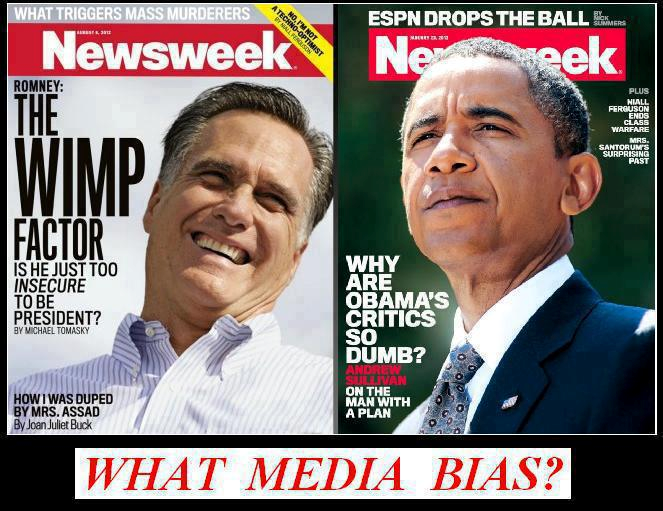 Coverage filled with subtle digs or comments and even subliminal messages taint the premise media is fair. As things unfold and we move forward the relationship between the Trump administration and the media will clarify itself. In reaction to Trump dressing down certain news agencies or groups for bias coverage, we immediately see the fear card thrown down on the table and warnings about how dictatorships are formed. I'm a bit tired already of this charade rolled out by the press, however, a bigger concern is the cultural damage it will cause by widening the social divide we already have in our heavily polarized country. In September of 2016 according to a new Gallup poll. the American public’s trust in the media had fallen to its lowest point since they began asking respondents whether they had trust and confidence in the media. Only thirty-two percent of the respondents in Gallup’s recent national poll said that they have “a great deal” or “a fair amount” of trust in the mass media. This is an eight percentage-point drop compared to 2015 and it marks the lowest point in Gallup’s polling history, which began asking respondents this question back in 1972. Public trust in the media fell among respondents across the political spectrum, it did not matter if they were Democrats, Republicans, and Independents, but the decline in trust in the media was most pronounced among Republicans, whose confidence in the media dropped from 32 percent in 2015 to 14 percent in 2016. It is during interviews we often get an opportunity to witness examples of just how badly you can treat a guest invited to answer questions. Over the top efforts to put words in someone's mouth and take statements out of context then spin them in the most harmful ways is shocking. If the guest represents views differing from the interviewer what we often see is an ambush. If a guest is favored or their views are endorsed it is often as though they had written the softball questions asked of them or as if she had seen the questions in advance or controlled the interview. This can be backed up by a series of scripted statements that all loop back around to support a hard or subliminal message. With such coverage being very common it is little wonder that Americans question the honesty of the media whose ranks appear to have become filled with opportunist and bums dressed as journalist. A fair amount of attention has been spent on "fake news" but just as important is the amount of media coverage that falls into the category of hype. Highlighted by a banner proclaiming "Breaking News" that stays on the screen for hours as we watch the same news clips and footage we have already seen several times. This is generally accompanied by rampant speculation geared to tantalize the viewer. The Sunday morning talk shows that claim to focus on the nation and the news that affects all of us have also suffered. Rather than addressing important issues, they continue dishing out a heavy dose of Trump bashing. Tricks such as taking comments out of context, straight-out misstating his position then putting it in an unpleasant light. This blatant bias coverage leaves many people wondering if the so-called "free press" is working for us or under the directive of greater forces seeking to control events. The bottom-line is that we out here beyond the beltway in the backwaters and wilds of America should remember the media has a casual relationship with the truth. Just because the media or a politician says something does not make it true. It is interesting to note that many of the major media websites do not offer a comment area, or if they do they are restrictive in the comments they accept. This could be considered a form of censorship because it appears they would rather not show the views of those who disagree. It is becoming more obvious each day that the mainstream media has taken upon themselves the job of controlling our discourse. News heavily skewed to disparage Trump and comprised of an unrelentless barrage of attacks do little to inform, bring us together or create calm between Nations. With such coverage, the media risk a growing backlash and losing the little credibility they have. Footnote; A while back I wrote a piece that looked at the definition of propaganda. It is a form of communication that is aimed towards influencing the attitude of a community toward some cause or position by presenting only one side of an argument. Propaganda is usually repeated and dispersed over a wide variety of media in order to create the chosen result in audience attitudes. It explored how the White House during Obama's time in office took this to a whole new level where it creates a message by spinning, scrubbing, molding, and shaping it, they then send it out to the public. More on this subject in the article below. One of the most remarkable features of our current economy is that interest rates are basically flat or negative in real terms and are expected to remain so. This is not unprecedented. Real rates were negative after the second world war and again in the 1970s. But in both cases, inflation indicators were higher than what is being forecast today. Headline inflation rates have been and remain relatively low because of the slow economy and lack of demand. With short rates close to zero, real rates will stay negative. With ten-year government bond rates hovering around 2.5% and the three relevant central banks targeting an inflation rate of 2%, it would not take much for bond investors to actually lose money in real terms. The level of interest rates is normally viewed as an effort to balances several forces at work within an economy such as the desire for saving with the demand for investment. So negative real rates indicate that savers are incredibly cautious and that businesses are reluctant to invest in new projects during a very weak economy. Central banks attempt to affect this price by setting “base” rates at which they will supply liquidity to banks. Their intervention has had an impact, although it is hard to quantify. Note; the aim of these policies is to discourage saving thus boosting consumer demand. Low rates are also supposed to encourage business borrowing and boost employment, but often it also encourages savers to take on more risk than they should when they search for higher yields. This creates a full "risk-on" mentality that can wash away common sense. The policy of rapid credit expansion while an interesting concept often brings with it negative consequences. Currently, it is being put to the test as new problems emerge in China where we saw the amount of GDP growth generated by each infusion of money decrease over the last four years. At the end of 2015 Chinese GDP to debt stood at a massive 258%. This should be taken as a warning that economic exhaustion and overcapacity results from continually priming the pump. In 2014 Wei Yao from Societe Generale warned the debt service ratio of Chinese companies has reached 30% of GDP the typical threshold for financial crises. This means many companies will not be able to pay interest or repay principal. She warned that the country could be on the verge of a "Minsky Moment" when the debt pyramid collapses under its own weight. 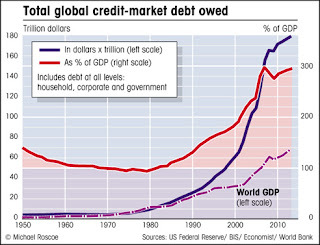 "The debt snowball is getting bigger and bigger, without contributing to real activity," she said. The total credit in China's financial system is estimated to be as high as 221% of GDP and has jumped almost eightfold over the last decade. When an economy is growing rapidly, there is generally an abundance of profitable investment opportunities and businesses are happy to borrow at high real rates. In a sense, then, the level of real interest rates sets a hurdle by which profitable projects should be judged. If the rate is held at an artificially low level for too long, a big danger is that capital may be misallocated and flow into speculative investments. A recent report from the Bank for International Settlements points to a number of other problems that negative real rates can cause such as tempting borrowers into ignoring their balance-sheet problems. This can result in problems being allowed to fester, making it more difficult for central banks to raise interest rates in the future. Banks may also become too optimistic about the ability of borrowers to repay, and fail to make adequate provisions for bad debts. It also encourages banks to borrow short-term from the central bank and lend long-term to the government is a public subsidy that causes many taxpayers to scream foul! Another problem is that pensions also invest in bonds and use the income to fund future payouts. As yields fall it will make it harder for them to honor future obligations. Low-interest rates in the developed world may have had spillover effects in emerging markets, pushing up exchange rates, increasing speculation and causing asset bubbles (such as Chinese property) and, until recently, inflating commodity prices. We must keep in mind that when rates do eventually rise we will most likely see a painful unwinding of these investments. Savers are suffering from these low-interest rates. The leading edge of the massive Boomer generation knows that every dollar spent is a dollar it cannot re-earn or replenish. Lower rates in effect have caused many older Americans to hoard their wealth. Boomers have little choice but to, keep that older car for an extra 50,000 miles, cancel remodeling projects, and make the grand-kids fund their own education if that want to extend the life of their savings. This often means that with less interest income they are purchasing a lot fewer electronic gadgets and spending vacations in the backyard. Tens of millions of Americans are either in this position now or about to become so. On the flip-side, many people with little savings have rushed out to buy cars and expensive items they really can't afford and pulled consumption forward. Ironically as the country's most responsible citizens hunker down we see lenders leaning into the wind and playing Russian roulette with high-risk loans to those with poor credit records that may never be repaid or have to be written down. The premise being that when you charge interest in the high teens even after the write-downs you come out ahead. 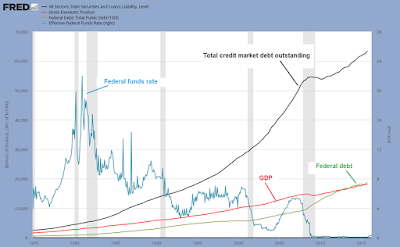 The bottom-line is that all the above trends and reactions to lower interest rates feed into a situation that is not particularly healthy, fair, or logical. As a result of these low-interest rates this "recovery" has been built on a false base and been far less robust than originally hoped. The legacy of Central Banks pursuing this "low rate" solution will be more problems down the road. In science and philosophy, a paradigm is a distinct set of concepts or thought patterns, including theories, research methods, postulates, and standards for what constitutes legitimate contributions to a field. Currencies are trading in a false paradigm in that they have been sheltered from the storm of volatility by existing in a rather closed system. Wealth is contained within this system of fiat money by laws and rules that discourage freedom of movement. It is the coordinated collusion of the major central banks that has allowed this charade to exist. The fact it has not been recognized or acknowledged does not alter nor does it guarantee the system will continue. The failure of any of the world's four major reserve currencies will destroy the myth that major currencies are immune to the same fate that has haunted so many currencies throughout history when the nations granting them have proven unable to control their budgets and been crushed under the weight of debt. One thing the global economy doesn't need with all the uncertainty that is currently floating around is unstable currency markets. When you consider just how destabilizing currency swings can be it is easy to see how a strong dollar could obliterate the global economy. It should not be a surprise in our current situation that behind the curtain central bankers could be busy manipulating currencies so they trade in a narrow range that will not rock the boat. Over the years countries have become very adept at coordinating policy and currency swaps are only one of the tools they use which now extends to even investing in stocks. When the dollar began to soar back in late 2014 the fear index began to rise and concerns were heard about the stress it was causing in countries that owed a great deal of debt that would have to be paid back in dollars rather than their own currency. As far as the idea China will tank the dollar because they are reducing their holdings of U.S. Treasuries in order to support the yuan a different story is emerging. We must remember the world currency market is a complicated place full of paths that fall away or come back on themselves and many of the tools used are like a double-edged sword that cut both ways. In the case of China, capital is sneaking and flowing out of the country faster than the government can create new ways to bolster the currency and sadly for them it is flowing into America strengthening the dollar even more. Adding to China's woes is that as their currency falls they will hear more calls from Trump supporters to place duties and tariffs on their exports to America in an effort to level the playing field and reduce the trade deficit. Consider the possibility that currencies are trading in a false paradigm and investors should get ready for a rude awakening caused by major changes in currency values. A dam has been built to protect market stability but pressure is building and when it breaks it will wreak major damage. Part of this is constructed upon the fallacy we have been given and accepted that a major currency cannot fail or collapse. This will only become more apparent as concern over the future of both the yen and the euro become more of an issue. Both the yen and the euro have major problems going forward and while people point to the fact that behind the dollar America stands with a rapidly growing national debt it is nothing compared to the issues Japan and the Euro-zone face. The different growth paths are a symptom of a general problem that has haunted currency unions for centuries. Competitiveness and productivity develop at a different pace in different countries. Over time, this leads to large differences in growth and the shifting of wealth among the members of a currency union. When the dollar union of the U.S. threatened to fall apart during the Great Depression because of the different economic conditions and unequal potential apparent between states, the federal government found it necessary to enact federal income transfers from prosperous states to aid ailing ones. The federal budget rapidly increased and this practice of income transfers from one state to another to bind the states together as a union became permanently embedded in our system. While in the United States a no bailout policy of crisis-hit states that had been enacted decades ago remains a somewhat "masked equalizer" accomplished through inter-system wealth transfers has contributed that special something that the Euro-zone completely lacks. Inequality has a way of growing and must be addressed early, After a certain point, it becomes too late to implement such a system that transfers wealth from the most prosperous to the most needy because some people will without a doubt feel cheated and others resentful. The bigger a debt problem and inequality is allowed to grow the more people and institutions suffer when they become the victims of a default. Greece has fallen and continues to suffer the consequences of this while much bigger countries like Italy and Spain are teetering on the brink. During the last several years the question of how to exit the Euro-zone monetary union and the euro has become an important economic issue. Uncertainty and fear relating to its costs tend to discourage political leaders from taking the risk and decisive steps towards an exit but if one or more sizeable countries bolt from the shelter of the euro or the Euro-zone the currency could quickly unravel. A major cause of the Euro-zone problem is growing inequality among its members exacerbated by the lack of system-wide bank protection which causes money and wealth to flee the weaker countries and their failing banks. Japan faces an entirely different problem while national debt is an issue for the central banks that issue both currencies. Japan's debt is much larger and the country faces a demographic crisis that leaves it forced to support a population comprised of citizens far too old to work. These problems give credence to the possibility that both of these currencies will fail at some point and if they do it is very likely that in our modern era, where wealth leaps across borders at the push of a button, their death will be fast, and swift. Like many Americans, I have railed against our growing debt and questioned whether it would destroy the dollar, however, when looking at the miserable alternative currencies before us the dollar is without a doubt king. We must not underestimate the advantage the dollar has being the world's reserve currency or the size of debt floating across the globe comprised in dollar based agreements. If the dollar proves victorious in the currency wars and is indeed the last major currency standing the people of America will reap the benefits of a game well played or just plain luck. North Korea Remains Very Unpredictable! 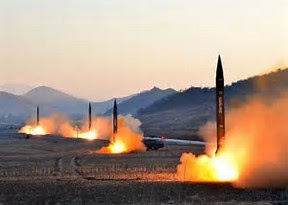 Some problems have no easy solutions and how to deal with a North Korea that is again threatening war is one of them. A big problem is that any minor skirmish in this volatile region of the world could rapidly spiral out of control. Slightly smaller than the state of Mississippi the country has a population of over 24 million people and borders China, South Korea, and Russia. The interior of the country is mountainous, isolated, and sparsely populated. Following World War II, Korea was split in two with the northern half coming under Soviet-sponsored Communist control. After failing to conquer the U.S.-backed southern portion known as the Republic of Korea (ROK) in the Korean War (1950-53) the country has remained divided. For over six decades North Korea, also known as the Democratic People's Republic of Korea (DPRK), has adopted a policy of ostensible diplomatic and economic "self-reliance" as a check against outside influence. Part of this policy is displayed by how North Korea has demonized the U.S. as the ultimate threat to its social system through state-funded propaganda coupled with political, economic, and military policies around the core objective of eventual unification of Korea under Pyongyang's control. Kim Il Sung's son, Kim Jong Il, was officially designated as his father's successor and took control of the government following the death of his father in 1994. Kim Jong-un was publicly unveiled as his father's successor in September 2010. Following Kim Jong Il's death in December 2011, the regime began to take actions to transfer power to Kim Jong-un who has now assumed his father's former titles and duties. Decades of economic mismanagement and resource misallocation have haunted North Korea and forced the country to rely heavily on international aid to feed its population since the mid-1990s. The DPRK began to ease restrictions to allow semi-private markets, starting in 2002, but then sought to roll back the scale of economic reforms in 2005 and 2009. North Korea has a history of being a regional bad boy with its military provocations, the proliferation of military-related items, long-range missile development, supporting unstable nations, and WMD programs including tests of nuclear devices. They have also developed long-range missiles capable of reaching targets in Japan and U.S. bases in Guam, Okinawa and the Japanese mainland. North Korea’s massive but poorly trained and equipped military is ranked fourth largest in the world. They could cause significant damage in the early stages of an attack on its southern neighbor but any attack would ultimately be repulsed by superior U.S. and South Korean forces. 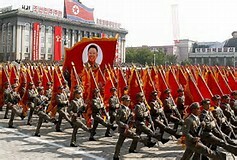 Analysts say North Korea’s aging military would not be able to prevail long term in an attack against its southern neighbor. North Korean forces are arrayed along the demilitarized zone with 10,000 artillery pieces capable of reaching the south's large modern capital of Seoul, Bruce Klingner, a former CIA analyst has pointed out the proximity of Seoul to the world's most heavily armed border would let the North Koreans cause a lot of casualties and damage in the initial stages of an attack. Just last Friday Klingner told Fox News. “We can expect an [intercontinental ballistic missile] test this year with full capability within the next few years,” this confirms what many people have tried to ignore. Any conventional attack from the North aimed at South Korea would likely begin with an artillery barrage, which could include chemical weapons. “They would try to overwhelm U.S. and Korean forces with volume,” Klinger said. Any initial assault would face about 28,500 U.S. troops and about 600,000 troops in the South Korean armed forces. “In the war game simulations eventually we prevail, but it’s World War I (levels of) casualties,” he said. While analysts say a full-scale conflict is extremely unlikely they note that the Korean Peninsula has remained in a technical state of war for 60 years. Still the recent and continued threats toward Seoul and Washington, including a vow to launch a nuclear strike, have raised worries that a misjudgment between the sides could lead to a clash. Most North Korea watchers have traditionally urged the West not to take the regime’s wild language at face value and have downplayed its military capabilities. Still, following growing provocations from North Korea and it’s launch of four missiles into the Sea of Japan on Monday and claims from Pyongyang the launch was a drill for striking American military bases in Japan some are beginning to take a different line. Chris Hill, a former U.S. diplomat like many of those keeping an eye on the situation see the threat of war by miscalculation is increasing. While many people do not think the Kim regime wants a conflict he may underestimate how much the sabre-rattling has raised the possibility to a new and dangerous level that could accidentally lead towards a broad conflict. Adding to the uncertainty is that just last week South Korean President Park Geun-hye was forced from office plunging the key U.S. ally into political turmoil. For many years America has pursued a strategy of hoping in time things would get better as the people of North Korea demanded more goods and western style comforts, this was to be the catalyst to move the country towards freedom. When the last foul leader died officials hoped that North Korea's young leader would prove to be a reformer, instead lines have harden and cooperation has deteriorated. The same people that were once hopeful and counseled we should give the situation time to change are now increasingly worried that Kim Jong-un might blunder his way into a war. Even as they publicly describe his recent bellicose threats as bluster, administration officials have stepped up visible demonstrations of American military power. Currently, all signs coming out of North Korea are not constructive to a peaceful co-existence, it is possible that they have become so delusional and paranoid that there is no turning back. The real problem is how best to resolve the issue before it becomes a full-blown crisis. For years many "tough guy Americans" have seen the answer as to, just "Nuke the bastards," but this is easier said than done and has some huge negative ramifications. In the current political environment, even an attack from the North that falls well short of anything nuclear will probably provoke what might be considered a very harsh response. While there are still many people in the West, who because of its long history of bellicose rhetoric and threats have come to discount the threat of North Korea as a joke doing so could be a big mistake. This situation highlights the difficulties of dealing with rogue nations. We should not be downplaying this threat and it is possible we may be facing a watershed event that makes limited nuclear war commonplace. None of us has any real knowledge of the motivation, or how years of propaganda have affected the average North Korean soldier. Several times in history the ink has only begun to dry on a peace accord before one of the participant attacks totally unprovoked and this means what may happen is often hard to predict. Forthcoming events may well dictate and set in motion war game scenarios that have been played out hundreds of time and are to be used as a blueprint for our future actions. It is very important America and people throughout the world realize and internalize the potential for a million or more dead North Koreans and many of their neighbors to the south, this does make this situation dire indeed. There should be little doubt the situation in Korea has the potential in a very short time to make the events having taken place in Syria over the years appear tame by comparison. Infrastructure Spending Feeds The Myth Of Easy Answers! To the many who see government spending on infrastructure as a job creator and a silver bullet for our ailing economy I would like to raise a word of caution, things are not that simple. What is clear is that when Washington begins to talk infrastructure spending hands go out across America as politicians and businesses rush to endorse such programs, of course, the first words out of their mouths is this should be administered on a local level so the money is not squandered by the inefficient minions of Washington that don't understand the priorities we face. This sets in play the feel good issuance of what is herald as free money being gifted by those in charge. What is their not to like? A pork-barrel project that drained federal coffers! Bottom line, nothing has changed over the last several years that indicates the media, government, or planners have become better and far more responsible in how infrastructure money is spent. More telling is a look at the bridge I wrote about that has now been completed. 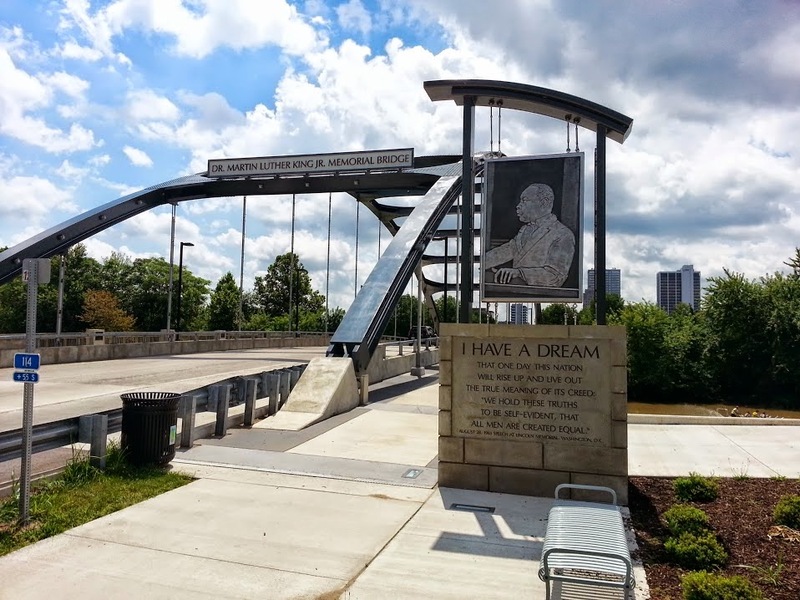 In the end, the bridge final cost was closer to ten million dollars, and it now sports the name the "Martin Luther King Jr. Memorial Bridge". After the bridge was structurally complete the plans called for the builder to come back and top it off with a million dollar plus metal structure that gloriously lights up at night. This was all built to hold the lights that change colors at night making it a landmark with a "wow" effect. To justify the extra cost of the iron structure that sits over the bridge and the lighting it holds officials assigned the bridge a new role, to act as a gateway into downtown. A huge ugly sign over the bridge, large monuments on each side of the approaching end, plus large plaques along the spacious sidewalks are few of its features. The so far unmentioned and most wasteful use of taxpayer money would be the benches that line both sides of the bridge, why do you need twelve foot wide sidewalks sporting benches on a bridge? I estimate that considering the expensive real estate they sit on these benches that I have never seen used and hinder snow removal came at a finished cost of well over one hundred thousand dollars each to the taxpayer. While handing out and touting the virtues of infrastructure spending we are told how in the long run these improvements and upgrades will pay for themselves over time making such programs a win-win situation. Still, the fact this is not paid for and adds to the budget deficit has drawn criticism even from the liberal economist, Joseph E. Stiglitz, an article he wrote that appeared on Project Syndicate contained the statement, "The only way Trump will square his promises of higher infrastructure and defense spending with large tax cuts and deficit reduction is a heavy dose of what used to be called voodoo economics." In all fairness, this was taken out of context in what was more or less an anti-Trump piece but it highlights the fact negatives to such programs do exist. The crux of this issue again centers on the sweet allure of getting and receiving the benefits while setting back the negatives, this story is not new or is the desire from which it flows. The myth of a "free lunch" or the idea we will gladly pay you Tuesday for a hamburger today always tends to surround these big pro- growth initiatives. Time and time again history shows these big promises fall short of their goals and come at a huge price when all is said and done. My concern continues to be this spending will add to deficit spending and an increase in the national debt and at some time we will be forced to pay the debt incurred for money poorly spent, It was Winston Churchill who said, "The era of procrastination, of half-measures, of soothing and baffling expedients, of delays, is coming to a close. In its place we are entering a period of consequences." And that is the problem. If you think this kind of mindless infrastructure spending will help America it could be based on the fact the media, many politicians, and the businesses that benefit from it are constantly telling you of its virtues. A "Truth Off" would show that infrastructure spending is not even close to being a silver bullet to cure our economic woes and America is not an uncompetitive third world country. 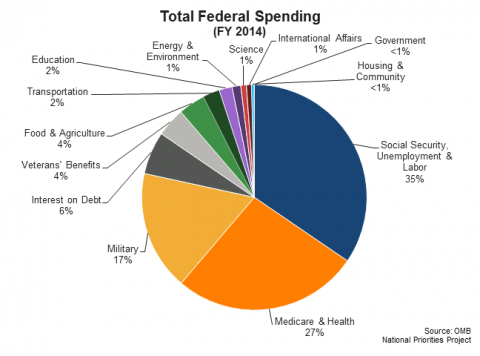 Sure this kind of spending creates jobs, but at a horrible cost that must be paid at a future date or eventually bankrupt the country. The grandiose planners and politicians love free money, unfortunately, there is no such thing. When looking at the facts we find the jobs created from infrastructure spending are often short lived and not a fix for the structural and employment problems plaguing America. Footnote; this goes hand in hand with other related articles that focus on ways the government has grown and worked its way into every facet of our daily lives. Links to several of these articles are below. When is an issue declared as really not that important? Possibly when it relates to national spending. It seems ages since the topic of our national budget has been front and center, and while budget issues are fast approaching serious discussions may again be pushed aside by various distractions. The subject of the budget and our deficit has dropped off the radar while the focus of the American people has wandered off to subjects like whether Trump will survive the protest and attacks from liberals and the remaining never Trump faction or what to do about Washington's last big fiasco known as Obamacare. The unfixable healthcare legislation that will always be viewed as President Obama's legacy is in deep trouble after failing to achieve its goals and to many Americans it is seen as the poster child of government failure. Sadly, little has changed since I broached the subject of our budget in August of 2013 except we have seen the national debt explode far beyond the numbers our government predicted when President Obama took office. Somehow we have ignored this reality and we have been lulled with the rest of the world into complacency as the American government kicked the can down the road. 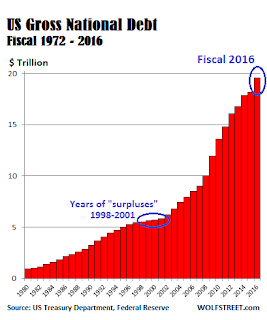 The increase in national debt from 3 trillion dollars in 1990 to 5.75 trillion dollars in 2000 garnered far more attention than the roughly 10 trillion dollar leap that occurred during the 8 years Obama was in office. Not suffering from our failure to deal with our massive spending has only reinforced the idea that far too much has been made as to the ramifications of our out of control budget. Today Washington is divided and America polarized and even if politicians work together more government is often not the answer. 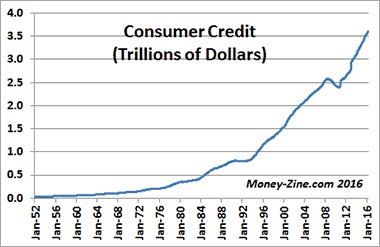 The fact is for years the answer from Washington has been to spend and simply create more debt. 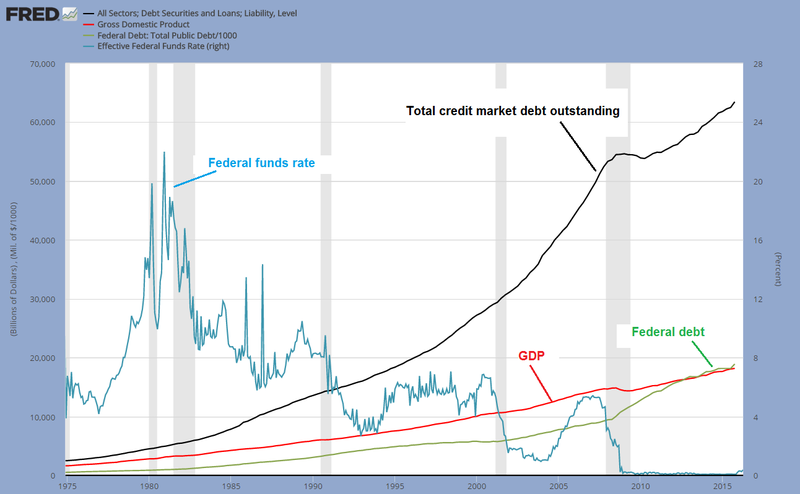 This time no one is referring to our financial woes as a financial cliff, the sense of urgency has vanished and been replaced by the feel of normalcy. This does not alter the fact that while we cannot talk our way out of the mess before us and putting it off and sidestepping the issue will only make it worse. The last election was proof of just how unpopular and downright dysfunctional Washington has become. It seems Congress is often off on recess, which is a thing many of us who live in the working world might dub as a paid vacation. At least we will no longer be forced to endure the broken record of President Obama busily crediting his administration with sound policy and taking credit for bringing America back from the mess he inherited. In truth, we seem no closer to addressing the problems of our nation today than we were last year or in the years before. While the stock market has cranked out a series of all-time highs I'm troubled by the fact that as I read the news today jumping off the page are announcements from a slew of major businesses declaring their intention to close dozens of locations. Abercrombie has joined a long list of brick and mortar retailers that have announced closures this year. Also, JCPenny plans to close up to 140 stores in the next couple of months, following decisions by Macy's and Sears to close a collective 218 stores in the first half of the year. Other mall-based stores including American Apparel, The Limited, Bebe, BCBG, and Payless have also recently announced that they are shuttering all or most of their stores. This does not bode well for malls, commercial real estate, or the economy in general. Commercial real estate such as malls and the brick and mortar buildings that line the roads of America represent jobs and trillions of dollars of stored wealth held by investors and pension funds. These store closings could be viewed as a harbinger of things to come or should we say the classic canary in the coal mine and are far more important than the value of stocks like Facebook or Tesla. Many of the Americans who felt America was on the wrong path turned out to support Trump and hoping he could fulfill has promise to "Drain the swamp" a reference to the slime filled city we call our capital but this is easier said than done. Much needs to be done but bringing our budget back under control is not a Trump priority so we should not be shocked when budget issues are only faced, and very poorly dealt with at the last minute. I am reminded of a saying I heard years ago, "if not for the last minute nothing would ever get done" it is unfortunate this has become the norm. Budgets and spending plans to fund the government are very important in shaping the country's future and should not be taken lightly. Mixed in with Trump's good ideas and promises are a few, shall we say, that are not so good and could explode an already massive deficit. Sadly, while spending is important it is not being given "priority" status. I'm afraid this will not soon change and again we will be forced to fortify ourselves with the knowledge that the President has hit the countryside with the message that he "has again" put front and center the issue of the economy with economic growth as a priority. Speeches including tired and well-worn phrases like fairness, a more prosperous middle class, increased equality and opportunity, are messages that ring hollow without action to back them up. When Will The Burden Become To Great? These are most interesting times for the economy and many people are failing to take note at just how unusual they are. With the markets sporting a glow from all-time record highs that are being made week after week it might be a good time to revisit the concept of irrational exuberance. Just over two decades ago Allen Greenspan who was then chairman of the Federal Reserve coined the term irrational exuberance, however, greed might have been just appropriate. 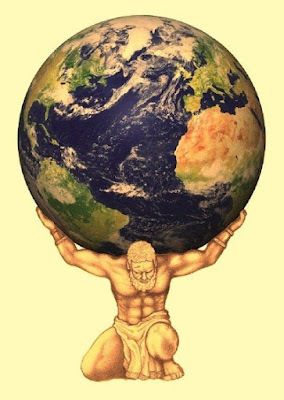 This leaves us with the question, when will Atlas shrug under the burden of global debt and simply say, enough is enough? We must consider the possibility we may be nearing the end of a 37-year run that will completely upend everything most people have come to believe about the economy. To make matters worse when this becomes apparent it may occur so rapidly and without warning that most people will have no time to react or shift their savings and wealth out of risky investments and into safer assets less vulnerable to downside potential. Gone will be the "buy the dip mantra" that has dominated this market since 2009, it will be replaced by the question of just how low can the market really go as it sinks away. Timing a major market shift is impossible and many of us who never expected the current market run to extend to where it is today have been battered and bludgeoned. Many of us have either stood aside missing the massive up move or worse yet aggressively shorted this market time and time again only to suffer huge losses. Being wrong up until now does not mean you are wrong about the outcome only that you have missed timed and misjudged how far those in power will go to prolong the illusion of stability. Watershed events can occur in the blink of an eye or be spread out over weeks or even months. It is important to recognize that the base on which our economy sits is comprised on ever growing debt that is unsustainable. Because this system has been able to exist and muddle through does not mean it can continue but just as important is the fact that it does not guarantee that we will not suffer financial harm as individuals. 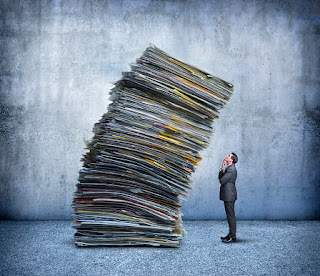 Over the years the entitlements and promises that have piled up have become overwhelming and in order to cope the world has latched onto and embraced Modern Monetary Theory (MMT) as the answer to its woes. Debt is often nothing more that the promise of future payment and is affected by interest rates. It appears debt does not matter in our current manipulated environment of MMT where what you pay in interest can overnight change everything by redefining the obligations outstanding and coming due. For example, In Europe, the ECB has stepped in to halt the economic collapse of Spain, Italy and several other countries that were on the brink of failure because of mounting debt. The ECB did this by artificiality lowering and altering interest rates paid on risky debt. While altering the rate paid in interest completely changes how budgets play out going forward and also where people invest it has also caused the amount of debt here in America and across the world to soar. Many of the monetary theories being applied today have not been proven over time but reflect an attitude that we can control economic cycles better than in the past. We must remember the policies being put forth by central bankers have massive implications for both investors and society, this is more than a game and it directly affects the lives of people everywhere. An economist that I have a great deal of respect for, Allan H. Meltzer wrote a piece that appeared in the Wall Street Journal in 2014 where he stated, "Never in history has a country that financed big budget deficits with large amounts of central-bank money avoided inflation." 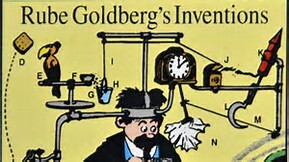 I contend that never before has mankind diverted such a large percentage of wealth into intangible products or goods and this is the primary reason that inflation has not raised its ugly head or become a major economic issue in recent years, it also creates an environment where debt defaults have the potential to rob millions of their wealth. Like many of those who study the economy, my misgivings with current economic policies are many, of chief concern is the massive debt being accumulated by governments and the rate that central banks have expanded the money supply. If a great deal of this money would suddenly shift into tangible goods seeking a safe haven inflation would soar even as debts go unpaid and promises are left unfilled. While they may tell you otherwise the average person only begins to care about "the economy" when they are directly affected or financially slapped in the face. To navigate the treacherous terrain of investing without a road-map or knowledge means you travel at your own peril. This does not mean that even a person totally ignorant of basic economics will not have an opinion. Sometimes these people advocate weakening our currency to help exports but that would be a big mistake. The one thing Americans don't need is a weak dollar if the world economy goes into a tailspin and crashes to the ground. A strong dollar assures American's the power to buy assets across the world. If a collapse in global markets does occur we will be much better off if the dollar remains king. It is important to understand the nature of debt and that some old debts will never be paid but get written off over time but the bulk of existing debt forms the foundation to pay for future obligations and as a building base for growth. If all debt is treated the same and diminished the value of both savings and future payments will be devalued. This leaves the bulk of society extremely vulnerable when a shift does occur and you do not want to be in this group. I fear many people are being lulled into complacency as to the real economic risk that surrounds us. A glaring example of this is how people just assume the bank will honor their credit lines or they will be given access to their savings in the case of an economic crisis. During a crisis as everyone rushes to the exit, it is naive to think you will be served in an orderly fashion or even fairly. Mind the "small print" and remember the bank is not your friend. When will the next financial crisis hit and how deep will it be? That is a hard and complicated thing to predict or answer, just as difficult is speculating the form it will take, however, it is important to recognize several catalysts exist that could usher in a crisis scenario. Only in hindsight does it become clear. 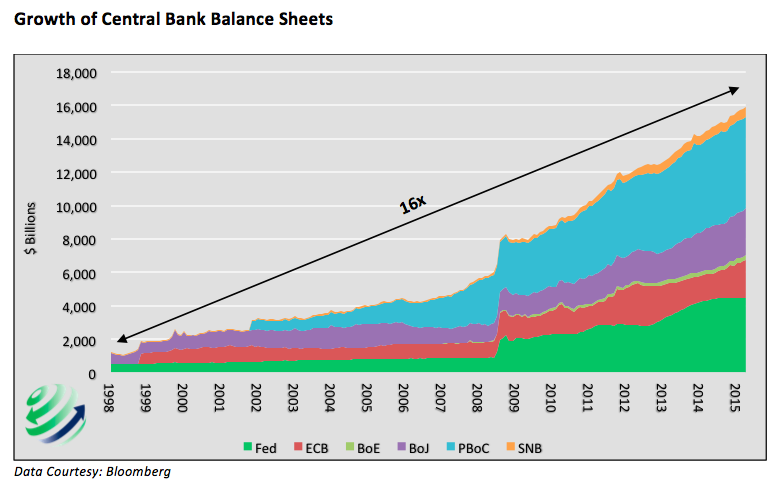 Those of us who have doubted and repeatedly predicted the collapse of this so-called recovery remain wrong because we have underestimated both the breadth and size of the global intervention of central banks and governments. Nobody in their right mind would have ever anticipated the sheer magnitude and scope of what has become a worldwide phenomenon. 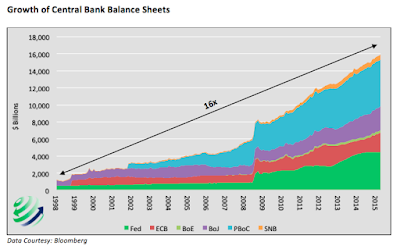 Central banks have gone far beyond trying to stimulate the economy they have completely reshaped it by altering the rules and papering over its flaws with a massive transfer of wealth that can only occur by creating a false paradigm or reality. The fact is debt is a heavy burden and at some point, Atlas will shrug. Footnote; Allen Meltzer who has stated, "This will not end well" speaks out exactly one hour into the discussion linked below. There Meltzer gives his take on the direction and policy central bankers have persuaded.